COLUMBUS — Nearly a quarter of the $60 million that Ohio’s largest online charter school has been ordered to repay taxpayers could be recouped from three companies that were paid a percentage of the school’s revenues, the state’s auditor said Wednesday. Republican Dave Yost warned the Electronic Classroom of Tomorrow that it could face repercussions if it doesn’t seek reimbursement of nearly $13 million from its software vendor, management company and sponsor. He said he will insist that ECOT pursue refunds as the agreements allow. ECOT is engaged in a protracted legal battle against the state over the Ohio Department of Education’s determination that its enrollment was 60 percent lower than what was reported. That discrepancy triggered the demand for repayment of $60 million, which the state’s high court has allowed to proceed. ECOT argues its longstanding contract allowed it to count students differently and that the state’s decision to change the rules violates that agreement. A message was left Wednesday for the school’s spokesman seeking comment. Yost said when charter schools are over-funded, vendors compensated on a percentage basis also are overpaid. In a letter sent Tuesday to charter schools across the state, Yost noted that adjusted state rules for counting attendance at virtual schools may warrant reimbursements from their private vendors and management companies as well. He requested documentation that any vendor overpayments have been recouped or are set to be returned on a payment plan. Failing to do so could lead to a finding for recovery against the school, he said. “Neither sponsors nor management companies — entities that may receive millions of dollars in public revenue — should be able to simply walk away with public funds if a charter school has inaccurate enrollment figures,” he said. Democratic state Sen. Joe Schiavoni, a 2018 gubernatorial candidate, said Yost’s action matched advice from Democrats. 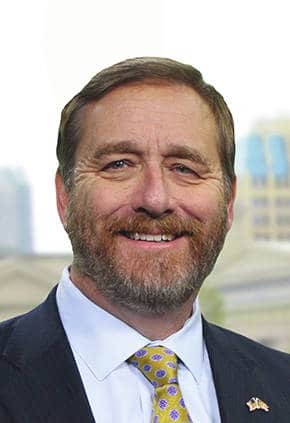 Yost estimates refunds owed to ECOT at $9.6 million for software vendor IQ Innovations; $2.4 million for management company Altair; and $900,000 for sponsor ESC Lake Erie West.